Is Almond Oil a Carrier Oil? Sweet almond oil can be used on its own as a moisturizing agent, or as a carrier oil mixed with essential oils. 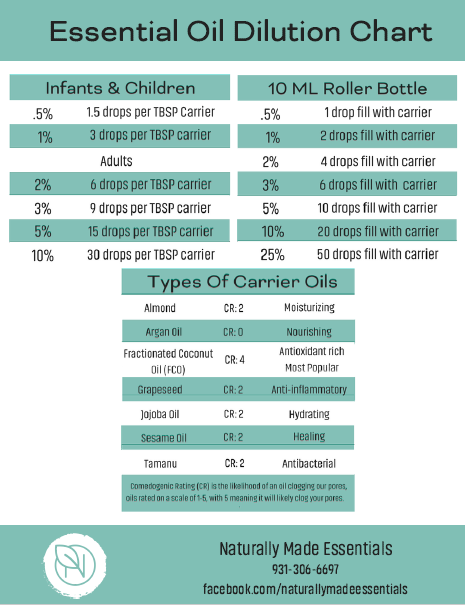 Carrier oils are used to dilute essential oils which may irritate the skin on their own. Dark under eye circles, also known as periorbital hyperpigmentation, occur for many reasons including sun damage, dry skin, loose skin, thin skin, inflammation, or increased levels of melanin. Common treatments for the condition use fat grafting, laser therapy, chemical peels, or topical skin bleaching solutions to reduce discoloration.3 Fortunately, there are less invasive, and more natural methods of countering the discoloration of the under eye area. Almond oil for eyes can be applied directly to the skin using clean fingertips or a cotton ball. Apply two drops of the almond oil dark circles remedy at night, before bed, being careful not to rub eyes after application. Almond oil for dark circles reviews are mostly positive, with many suggesting that the oil be massaged into the under eye skin gently, using the pinky or ring finger. You can also make your own almond oil under eyes mask by combining 6 drops of organic sweet almond oil, with 1 Tbsp. organic raw honey. Mix well, and apply evenly to the under eye skin, being especially careful of your lashes, which could stick in the mixture. This mask can be left on overnight, and rinsed off using lukewarm water in the morning. Almond oil uses for skin include natural moisturizers, massage oils, soaps, or as a carrier oil for aromatherapy with essential oils. One of the best almond oil for skin applications is soap. To make your own cold pressed almond oil liquid soap at home, combine ¼ cup sweet almond oil with ¼ cup honey, ½ cup castile soap, 1 Tsp. fractionated coconut oil, and 15 drops of lavender essential oil. Once the mixture is prepared, transfer to a clean bottle with dispenser lid, and use as needed. You can also create your own almond body oil, to harness the moisturizing almond oil skin benefits. In a small glass bottle, or sealable jar, mix 2 oz. sweet almond oil, 4 drops almond essential oil, 10 drops chamomile essential oil, and 10 drops orange essential oil. Mix well, and use as needed; a few drops of this body oil goes a long way, so use it sparingly. To use almond carrier oil in your own tea tree shampoo, fill a clean dry bottle with ¼ cup castile soap, ¼ cup distilled water, 1 Tbsp. vitamin E oil, 2 Tbsp. 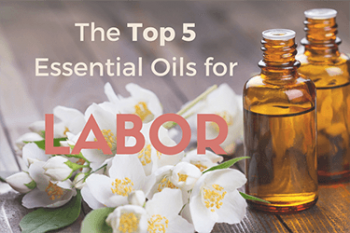 sweet almond oil, 10 drops tea tree essential oil, 10 drops peppermint essential oil, and 5 drops lavender essential oil. Mix well, and use as needed. To use almond oil for hair growth at home, try the same shampoo recipe above, replacing tea tree essential oil with cypress essential oil, and peppermint essential oil with orange essential oil. You can also create an almond oil hair loss mask by combining 1 Tbsp. coconut oil, 1 Tbsp. sweet almond oil, and 5 drops of cypress essential oil; mix well, and apply to towel dried hair. After 20 minutes, rinse hair, and style as usual. This makes sweet almond oil for acne a great addition to soaps and facial treatments, which target the acne causing bacteria. Another one of the uses of almond oil on face is a post acne treatment, to smooth and hydrate skin. In a 2009 pilot study, sweet almond oil was used in a three-stage acne prevention method as part of a yoghurt and honey face mask, as well as on its own as a bedtime face treatment. To soak up all the sweet almond oil face benefits, you can make your own face mask using essential oils and sweet almond oil for face treatments at home. Combine 1 Tbsp. plain Greek yoghurt, 1 Tsp. organic honey, 3 drops almond oil carrier oil, and 3 drops tea tree essential oil, and mix well. This can be used daily, and left on for up to 2 hours before rinsing off in lukewarm water. What is Sweet Almond Oil Good For? You can apply almond oil for stretch marks directly to the affected area daily. Another of the many sweet almond oil uses is natural lip gloss, you can use almond oil for lips on its own, or in combination with other plant oils. To make a convenient on-the-go lip treatment, combine 1 Tbsp. coconut oil, 3 drops sweet almond oil, and 1 drop vitamin E oil, mix well and store in a small sealable jar for easy application. There are many other almond oil uses which you can add to your daily routine, such as eyelash care. Eyelashes require moisture to stay healthy and glossy. You can use almond oil for eyelashes, by applying a small amount before bed. To apply the almond oil, use a clean eyelash brush, or the end of a cotton swab, and be careful not to rub your eyes once the sweet almond oil as been applied. Almond oil in ear care is common in cases of impacted wax, but should only be used under doctor instruction. You can also use almond oil as lube or massage oil during sexual activity, as the oil does not irritate the skin. Be sure to ask your doctor, “can I use almond oil as a lubricant?” before using it internally, as some oils are best used externally. To make your own almond massage oil, combine 3 drops of sweet almond oil, with 3 drops vitamin E oil, and 5 drops of your favorite soothing essential oil, such as lavender essential oil. Gently massage into the skin until absorbed. With all of its beneficial qualities, people often wonder ‘where can I buy almond oil?’ Previously, pure and organic almond oil could only be purchased from specialty health stores. Now, due to the advancements in technology, high quality, cold pressed almond oil products like NOW Almond Oil and Aura Cacia Sweet Almond Oil can be purchased online easily and affordably.